Hello. Welcome to Green Tea and Coffee dating site. Here’s our story. 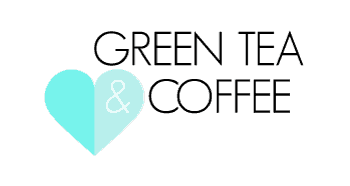 Green Tea and Coffee was founded in September 2017 by an AMWF couple in New York City. As we know how difficult it is to connect with like minded people on regular dating sites, we wanted to create a platform where women interested in Asian men and Asian men who are open to interracial relationships can talk, meet and date. Our goal is to create AMWF, AMBW or AMXF couples or at the least friends who can connect based on similar interests such as music, learning languages and travel. However, our main reason for the site is dating and relationships therefore we only accept members who are single and over 18 years old. Our website is growing and evolving and we keep improving it to give you the best experience. At first we concentrated on building our American and Canadian audience but recently in 2018 we have opened our site to International members and have members joining from places like Australia, Germany, UK or Hong Kong + others. As we wanted to create more of a community where people can talk and experience different aspects of interracial dating, Asian or Western cultures therefore we have also created a Forum, Stories and Blog section and a Shop where you can find things like books by Asian authors, Kawaii products or Korean beauty. Don’t forget to follow us on social media for various dating and cultural content. We are on Instagram, Facebook, Twitter and Pinterest. We hope you enjoy the site and meet someone special or make some fun connections. Please let us know of any bugs or issues you experience by emailing us at hello@greenteacoffeedate.com.